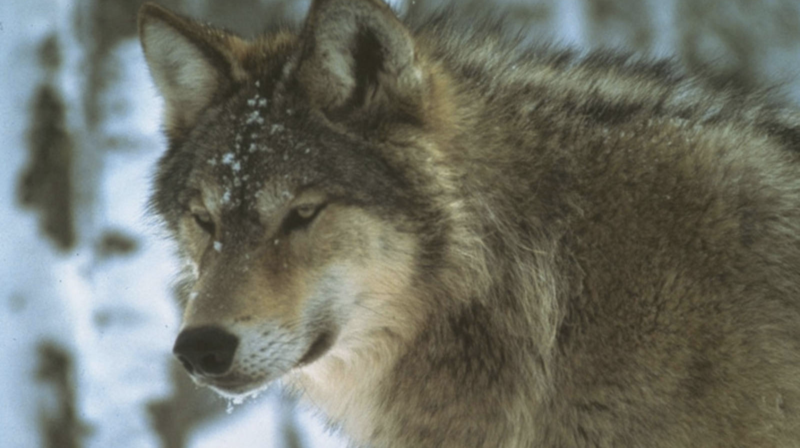 Officials have transported the wolves via air and boat to help restore the population of predators that dwindled in the last couple of decades. As the wolves died, moose numbers grew to more than 1,600 on the island, threatening its habitat. As many as 24 wolves were known to be on the island in 2009, but that number fell to just two in 2018. Inbreeding is blamed for the decline. According to the Duluth News Tribune, officials hope to trap wolves in Michigan or Minnesota and move at least 20 and up to 30 to the island in the next three years. The wolves, a balance of male and female, will be outfitted with radio tracking collars. Officials hope spacing the predators on the 45-mile-long island will reduce pack fighting and inbreeding. The island is about 15 miles northeast of Minnesota in Lake Superior. Despite the island's 143,000 acres and ample moose numbers, hunting is not allowed. Instead of using hunting as part of an effective management plan, park officials are opting solely for the expense of wolf relocation and tracking. Hunting could pose myriad problems, though. The park is closed to the public from Oct. 31 to April 16. Winter can be brutal in northeast Minnesota and on the island. Also, according to the Great Lakes Echo, tribal considerations for hunting rights come into play. The Echo noted that "from the Treaties of 1842 and 1854, the Keweenaw Bay Indian Community has hunting, fishing and gathering rights in certain areas of the U.P., including Isle Royale. This would give them the final decision on the hunting of moose on the island, said Ken Vrana, director of the Isle Royale Institute. "Even if the tribe chooses to hunt in the area and possibly allow others to do the same, the logistics of moving an animal once it’s killed make the plan seem less feasible, Isle Royale guidebook writer Jim DuFresne said. Outside of the main harbor, the island is pure wilderness with only small trails, and with vehicles banned, hunters would have to carry their kill out of the woods. “They may be able to carry chainsaws with them and cut up the moose to make it easier to carry,” said DuFresne, who has seen moose hunters in Alaska use that method. But even with this tactic, moving an animal that weighs more than 1,000 pounds would be no easy feat, he said.